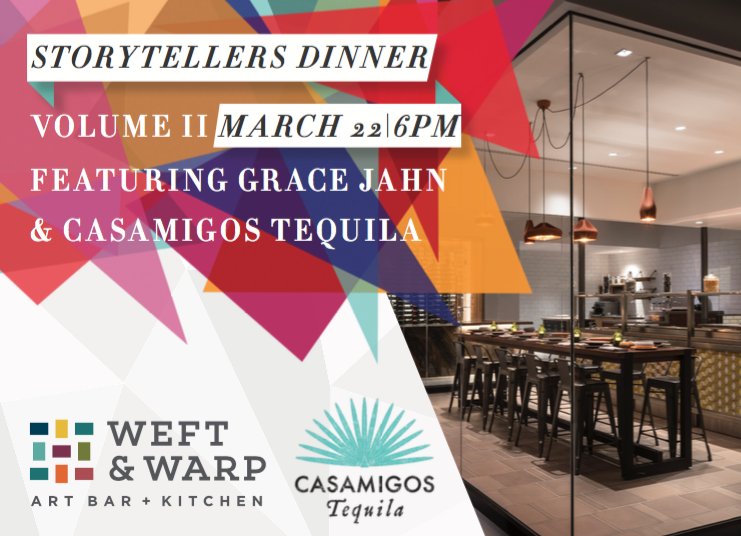 Andaz Scottsdale is hosting its second Storytellers Dinner on March 22nd, as part of an ongoing culinary series that brings together local partners for a special evening featuring a curated menu and lively conversation as the resort’s new signature restaurant, Weft & Warp Art Bar + Kitchen. Executive Chef Adam Sheff and the mixologists of Weft & Warp Art Bar will be joined by tequila expert Grace Jahn. Sharing the same cultures and history of Casamigos Tequila, Chef’s four-course menu draws inspiration from the deeply rooted spirit of the Sonoran Southwest. Watch out, though, as the mixologists may very well steal the show, as they’re given carte blanche creative access to Grace’s Casamigos Tequila collection to create classic and contemporary cocktails throughout the evening. Tickets include a welcome cocktail and 4-course dinner and are available for purchase for $85 (gratuity and tax not included). Guests can reserve their seat by calling (480) 214-4622.